Odyssey Charter School has adopted the Responsibility-Centered Discipline program to totally transform how we deal with student discipline issues and, more importantly, how we help each student graduate as a responsible, self-disciplined adult. This program teaches practical techniques to help teachers deescalate confrontations with students, while also enabling teachers to successfully redirect students who need correction. Since we began implementing this program we have seen significant improvements in school climate and teacher-student relationships. Responsibility-Centered Discipline uses a “Give ‘em Five” guided conversation to train educators and parents incorporate five important themes into their corrective conversations. Support – Use supportive statements that connect to your relationship with the child or teen to identify a strength that she possesses. Expectation – Let the child or teen know the expectation you have for him. Breakdown – Communicate where you see the expectation breaking down or failing to be met. Benefit – Tell the child or teen how meeting the expectation benefits her. Closure – Determine whether the situation has been resolved or whether the conversation is at a place where you can feel comfortable moving on. Parents and staff, please feel free to come and browse through the learning games and materials that are available in our Family Resource Center. We have a clipboard on the door and you can check out items for two weeks on the honor system. Please only take one or two items at a time so that they are available to the other stakeholders. There are leveled reading materials for you to use to help improve your scholar’s reading fluency and comprehension. Odyssey is fortunate to qualify as a Title I school. 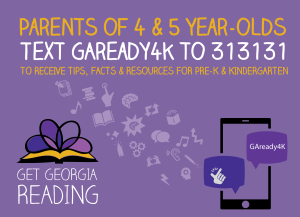 This schoolwide program grants us additional federal money to ensure that all children meet the Georgia Standards of Excellence. This additional funding allows us the opportunity to offer free math and reading tutoring to our students during the school year. All eligible students will be invited to receive this extra help. Invitations will be sent out to children who are struggling in the classroom to meet state standards, as identified by their math and/or reading teachers. Once all of the priority students are assigned, we will assign available slots to other scholars who are meeting standards but would like the additional learning opportunity. Students will be invited to attend tutoring two days per week from 3:30-4:30 beginning in October and ending in late February. Flu Myths vs. Flu Facts. Do You Know the Difference?